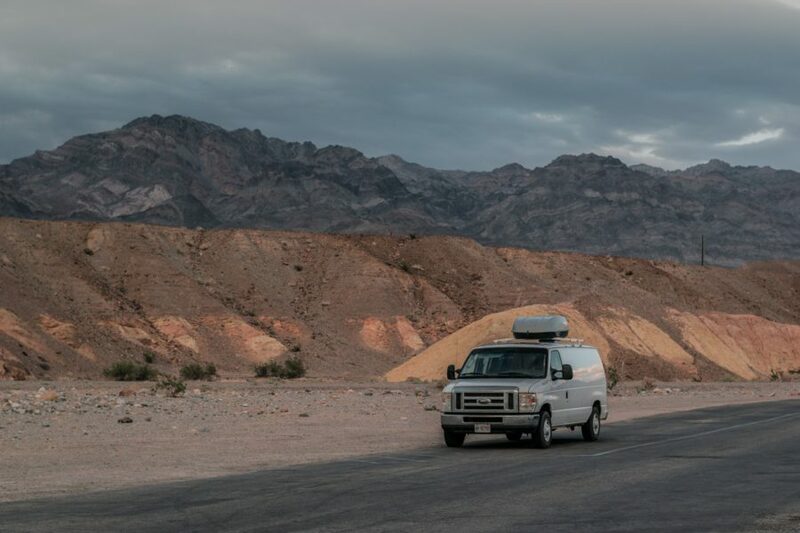 If you’re beginning the process of converting a camper van to live in a van full time then you’ve probably wondered how you’re going to get some power. You might want to install a campervan fridge, have some funky lighting, get fancy and have a television, or, like us, just be looking for a way to power a fan and charge up your phones or cameras. 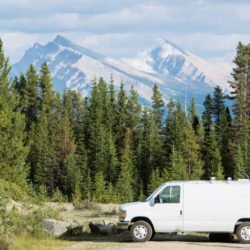 There are several ways you can get power when you live in a van. You can use a generator if you’re in an RV or you could install a hookup so that when you’re at a campsite you can plug into a power source. But the best way? 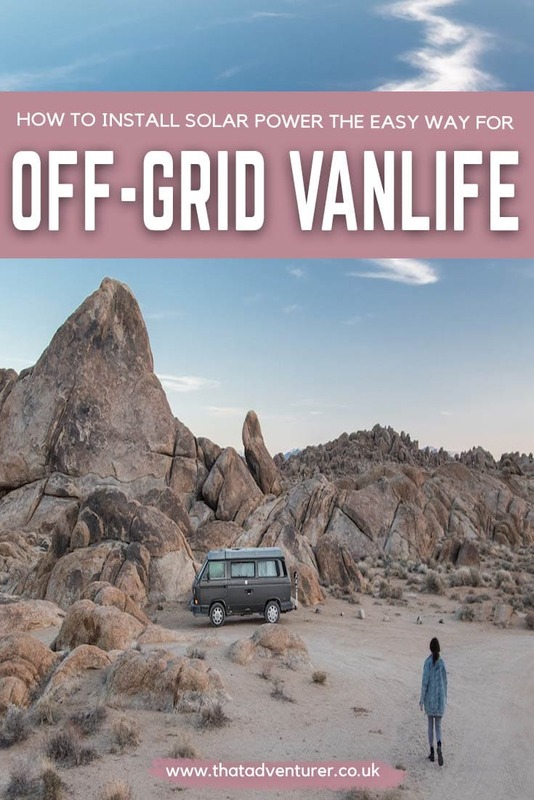 At least if you’re planning to go off-grid and not have to be reliable on campsites is to install solar power in your van and have solar power for camping. Installing solar power can be super, super easy to do. Or you can make it a little bit more complicated. Our camper solar kit involved two things: a solar panel and a Goal Zero. This was the easiest and quickest way to complete our solar panel connection but it’s not necessarily the cheapest. If you don’t want to fiddle around with solar panel too much solar panel wiring and inverters then this is the campervan solar panel kit for you. Step 1: How much electricity do you need? How much electricity do you expect to use? How big a battery will you need? Step 2: How big a solar panel do you need to charge the battery? Step 3: Buying the goods! These will set you up with a 12V solar panel kit using just a Goal Zero and a solar panel for this super easy solar panel setup. Before you start buying solar panels, you should have a think about how much electricity you’ll need. 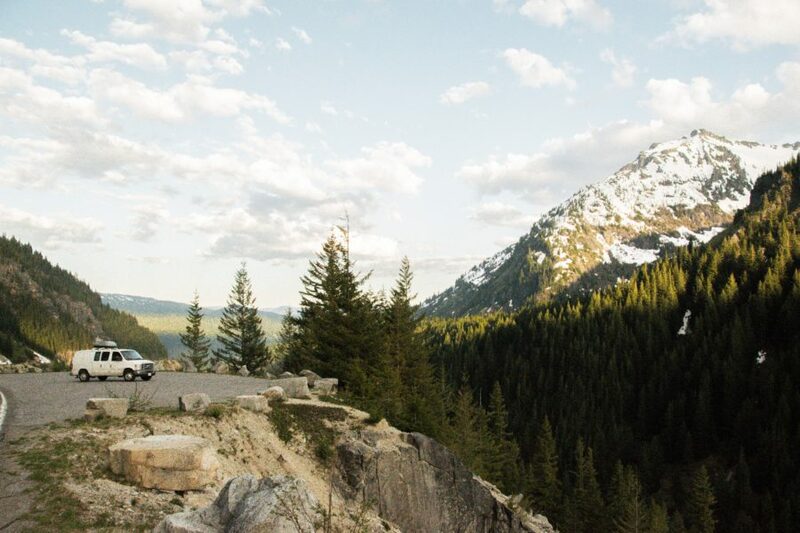 This isn’t exactly the easiest task if you’ve never lived in a van before and aren’t quite sure what you’re going to want to power. 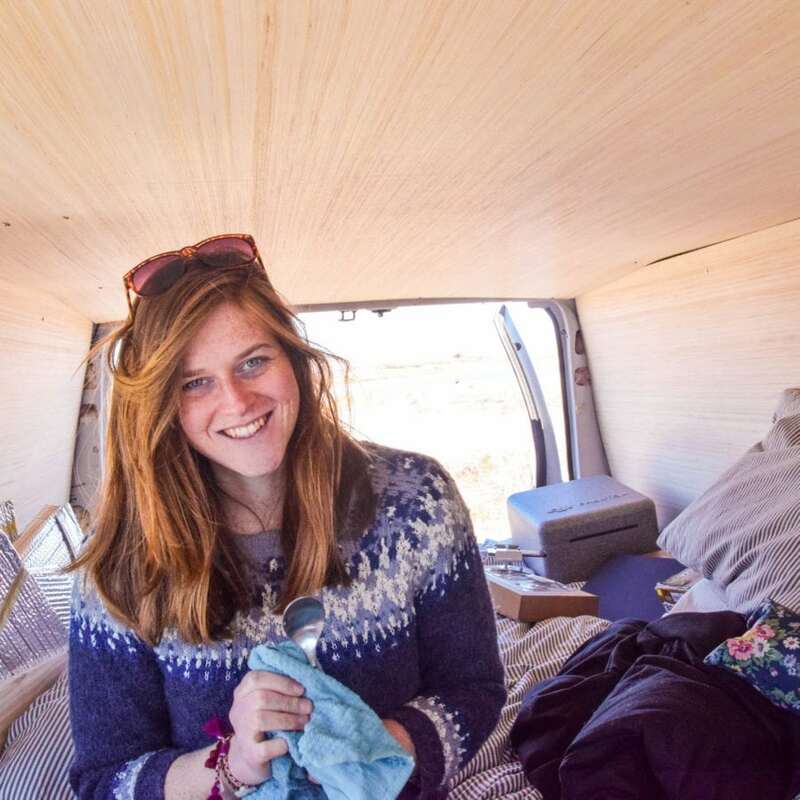 But it’s an important one as it’ll make your vanlife journey a whole lot more enjoyable if you’re still able to use the electrical items you’d planned to use. To work it out you’ll want to ‘size your system’ which will help you work out what size solar panels, how many and what sort of battery you’ll need to buy. The below gives you a general idea of how we worked out how much power we needed for our van. 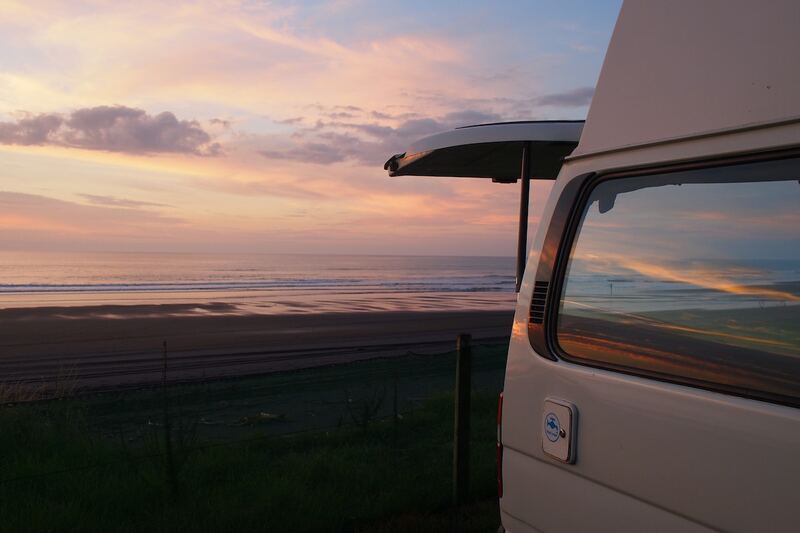 It’s important to bear in mind that we were travelling and living in our van not working. 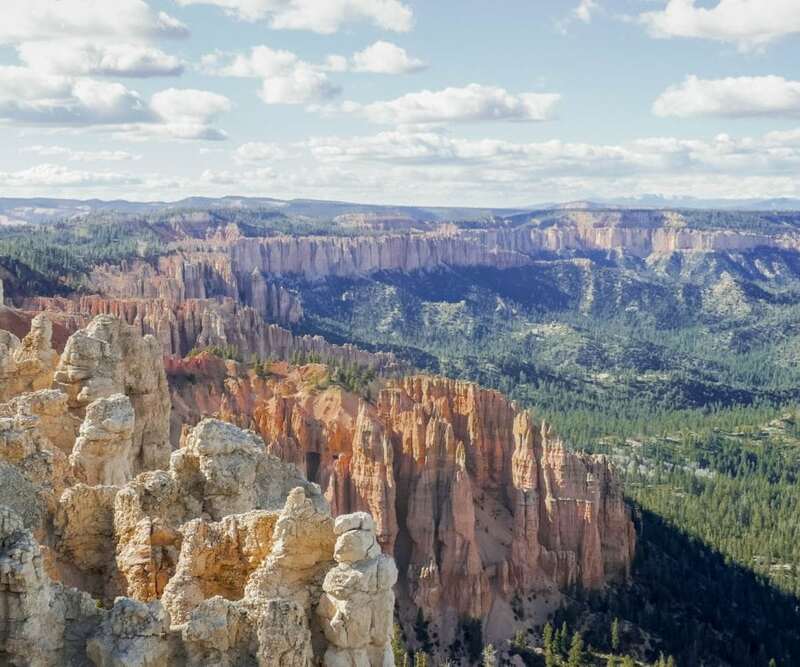 We didn’t need to be plugged into our laptops for a few hours every day to work remotely. Nor did we power a TV, a fridge or anything fancy like that. Our solar energy system only needed to charge our phones, our camera batteries every now and again, the vent in the roof, our drone and occasionally our laptops. That doesn’t amount to much power being required. An example: cell phones tend to use between 2 – 6 watts. Let’s say yours uses 4 watts. If it takes you 2 hours to charge your phone then your power consumption for a mobile phone is 8Wh per day. You might have a couple of mobile phones = 16Wh per day plus perhaps some days you want to charge your laptop for an hour (roughly 60Wh). In this example, your electricity is looking something like 80Wh each day. But, that’s only if you charge your laptop for one hour a day so we’ll assume you’ll roughly be charging it between 1-2 hours. We mostly charged our laptop at cafes, we were travelling not working so that worked for us! Let’s say your electrical components use 120 Wh each day. Battery capacity is measured in amp-hours (ah), so to figure out how big your battery needs to be, convert the 120 Wh of power consumption into ah by dividing by the system voltage (12V). 120Wh / 12V = 10ah. If you run that calculation and think you need a 10ah battery, think again! You never want your battery to fully run out. If it drops between 50% then you risk damaging it and/or giving it a shorter lifespan that it should have. For this reason, you’d need at least a 20ah battery to accommodate. As you can see from above we didn’t need a whole lot of battery storage for our power needs. We definitely only required one solar panel and probably could’ve got a very small one. However, it’s not always sunny, sometimes we were in a forest, parked somewhere out of direct sunlight or just needed more electricity for certain days. We ended up with a 300w solar panel because Thom found a great deal on one (like this model but 300w & found cheaper in Toronto due to a pricing error which they honoured). This worked out well since it meant we could charge our battery in much less time, and we were hardly ever less than full. But, if you do the above calculations and you look like you’ll need a lot more power, then you may want a bigger battery and more solar panels. Solar panels are in watts, so we’ll again use our 120 watts of power consumption. Divide that by the average amount of full sunlight per day (imagine it’s 5 hours) and you’ll get the solar panel size. 120 Wh / 5 hours = 24 watts. So, a 24-watt solar panel should charge your battery each day and give you enough power for the above. Remembering that you might not always be in direct sunlight, or somewhere sunny for 5 hours of the day, you’ll probably want to round this up a bit just to make sure you’re not going to be running out of power all the time. We ended up with a 300-watt solar panel since Thom spotted a great deal on one. Plus, since it was also a knock-off we figured it probably wouldn’t actually be 300w so better to opt on the larger side than not. It actually works really well and has allowed us to use our fan a lot in the hot, sticky weather down in Louisiana, as well as charge our power-hungry drone and laptops without having to worry about it. We took the easy route and skipped complicated wiring in favour of ease for our camping solar charger kit. Based on our calculations we (well Thom) decided the Goal Zero Yeti 400 would work best for us as a battery. The Goal Zero Yeti 400 is an all-in-one power station with a 396 watt-hour, 33Ah capacity – more than double what we said above. Goal Zero says it can charge a phone 30 times, laptops 5 times, and run small appliances for several hours. We liked that we could plug in USB, AC and 12V devices rather than being limited to just one type and that you can see exactly how charged it is (or isn’t) all in one box. We combined this with a 300W flexible solar panel. Unlike some solar panels you see on top of vans, this one sticks flush to the roof of Elvis the Van and making it a great choice for a solar panel for a van roof. You can’t see it unless you look for it which helps us to be more stealthy. It’s also much lighter (just over 2kg!!) and easier to fix this solar panel to your camper van roof than one of those heavy ones that need mounting. Yes, we can’t angle it to follow the sun but we really didn’t find we needed to. To attach our solar panel to the roof we used some very sophisticated methods. Nah, just kidding! We used some Gorilla Tape and super strong velcro and lots of them. We didn’t want to drill any unnecessary holes in the roof and when Thom attached the solar panel to the roof of our van in a parking lot in Niagara Falls we thought this would just be a temporary solution. A couple of years later and it’s still the system we’re using and we haven’t made any adjustments. This has worked for us in 30+ degrees, -30 degrees, rainstorms, snowstorms, dust and pretty much everything you could throw at it. The great thing about this solar panel kit is that if you’ve been furiously typing “how to connect solar panels” into Google, you shouldn’t need to here. It almost couldn’t be easier. The solar panel should come with an MC4 wire. This alone won’t connect to the input hole on your Goal Zero. For that, you’ll need an MC4 to 8mm cable from Goal Zero. These are out of stock on Amazon and apparently, that’s because they want to make sure your solar panel isn’t so powerful that it’s going to blow the Goal Zero Yeti. As long as your panel is 12V, like the one we used, then you’ll be able to order one by calling up Goal Zero. Alternatively, you can watch this video and learn how to make your own solar panel wiring. Hopefully, everything’s working properly and you’ve successfully installed solar power in your van! Congrats! Now have fun watching the watts on the Goal Zero and seeing your battery get charged by your van solar panels as you drive around!